Chin up, Kenny Tate. That hideous uniform may be your program's ticket to relevance. The Maryland Terrapins debuted the first of what will likely be many new uniforms on Monday night: Two-Face-style unis inspired by the bipolar Maryland state flag. It’s hard to tell which side of the uniform is Harvey Dent and which is his evil half; each is criminally ugly. Oregon clearly is the beneficiary of its unique relationship with Nike boss Phil Knight, a 1959 alum who has used his fortune to give the Ducks every potential material advantage. But the most consistently conspicuous portion of Knight’s lavish contributions are the team’s much-discussed uniforms — the yellows and the greens, the blacks and the grays, the highlighter neons and the stormtrooper whites, the many different helmets and jerseys and pants and socks and shoes, the more than 500 possible combinations in all. The football Ducks of Oregon are something new. They didn’t get people to watch because they got good. They got good because they got people to watch. They are college sports’ undisputed champions of the 21st century’s attention economy. Now comes Maryland, the first true challenger to Oregon’s primacy in the “attention economy.” UnderArmor, based in Baltimore and founded by former Maryland football player Kevin Plank, has outfitted the Terps for several years. This season, however, is the first for which UnderArmor has rolled out an Oregon-style menu of designs. It’s not clear how many possible outfits Maryland can build. At a fashion show debuting the new looks, 16 players wore 16 different uniforms. Some feature a bizarre white helmet with gray squiggles, designed to look like a tortoise shell. As Kruse notes, several other schools are adopting Oregon’s look: West Virginia, Boise State, Arizona State and fellow ACC teams Virginia Tech and Miami, among others. 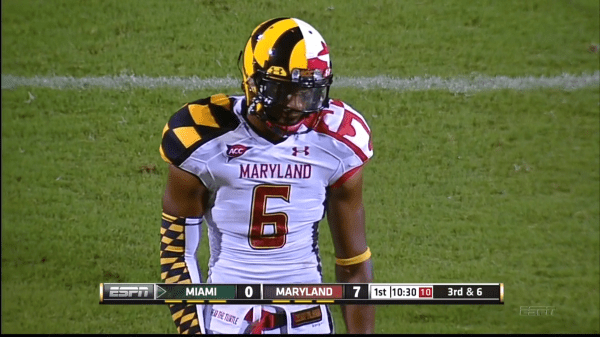 But Maryland is the first to go beyond borrowing the Oregon aesthetic. The Terps are stealing the Ducks’ DNA by tapping a sportswear company helmed by an alum to create buzz with its garish uniform designs. Will Maryland be able to replicate the Ducks’ results? Or will the on-field outcome be as unsightly as the uniforms themselves? Mike O’Cain is back with the Pack! O’Cain’s sort-of appearance in the game is a reminder of how odd his tenure at State was. As Good notes, O’Cain’s teams included some excellent players (led by Torry Holt) and had some astounding wins (FSU in ’98, Syracuse in ’97 and ’98, Texas in ’99). He also sandwiched the FSU and Syracuse ’98 wins around a horrific loss to Baylor and failed to beat North Carolina in seven tries, speeding him toward a cold-blooded, Thanksgiving-morning firing in 1999. Few were sorry to see him go, but O’Cain did oversee some of the program’s greatest victories. O’Cain is now the OC at Virginia Tech. That sounds reasonable to me. Duke’s group did win a national title. “Lute (Olson) is one of the top coaches to ever coach in college and that brand never went away, even though there were some not-so-good things happening, and then Sean (Miller) is just a heck of a coach. He’s a really good guy, but he’s a great coach and he had his team so well prepared. It was a great hire for them, to build back a brand that was right — you know, it’s there.” — Duke men’s basketball CEO Mike Krzyzewski, after last night’s season-ending loss to Arizona. Coach K’s right — Sean Miller has really rebuilt that Arizona brand. At this juncture, Duke basketball’s brand managers are probably looking at that turnaround and asking themselves some difficult questions. Are we delivering on Duke basketball’s brand promise? Are we effectively communicating our value proposition? Are there fundamental flaws in our brand architecture? Identifying Duke’s problems weaknesses challenges potential growth areas opportunities will require some soul-searching, a deep dive into the current state of the Duke basketball brand; the 30,000-foot view won’t be enough. Assess every touchpoint with customers. Focus-group this thing. Put some black-belt, Six sigma mojo on it. Who knows what K’s brand management team will find? Maybe Duke’s frontline staff have been operating in silos, and it’s time to tear down the walls between them. Vertically integrate. Challenge the status quo. But as K and his team do so, they need to make sure they’re defining roles and clearly communicating action steps to each member of the team. Really flesh out that vision for the future state, and identify the change agents who can drive the process. Once Duke’s defined the problems challenges opportunities, K should launch the solution phase of the process with an off-site, all-hands brainstorming session to start: a no-holds-barred approach where no idea, no matter how back-of-the-envelope, is dismissed. It takes that sort of environment to really cultivate outside-the-box thinking. K may want to bring in some outside thought leaders, critical thinkers who are plugged into best practices for reviving an aging declining faltering opportunity-blessed basketball brand. The good news for Krzyzewski is that his company organization team family has a lot of quality human capital to draw on. 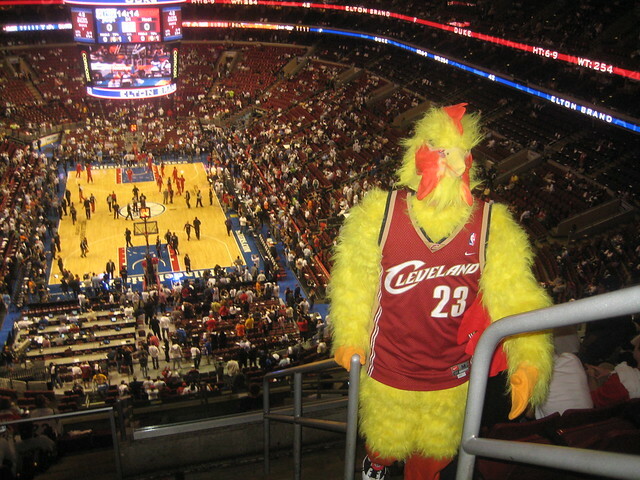 K’s going to need buy-in all the way up to the C suite. But getting sweat equity from everyone shouldn’t be a problem for Coach K. The man knows how to motivate. I think K’s management team is going to find that this isn’t a burning platform situation. The solutions here are evolutionary, not revolutionary. But that doesn’t mean there are going to be easy solutions. Just bringing in new brand ambassadors next year won’t solve the problem. There are no Band-aids for Duke’s problems issues opportunities and no workarounds to greatness excellence increased market share.